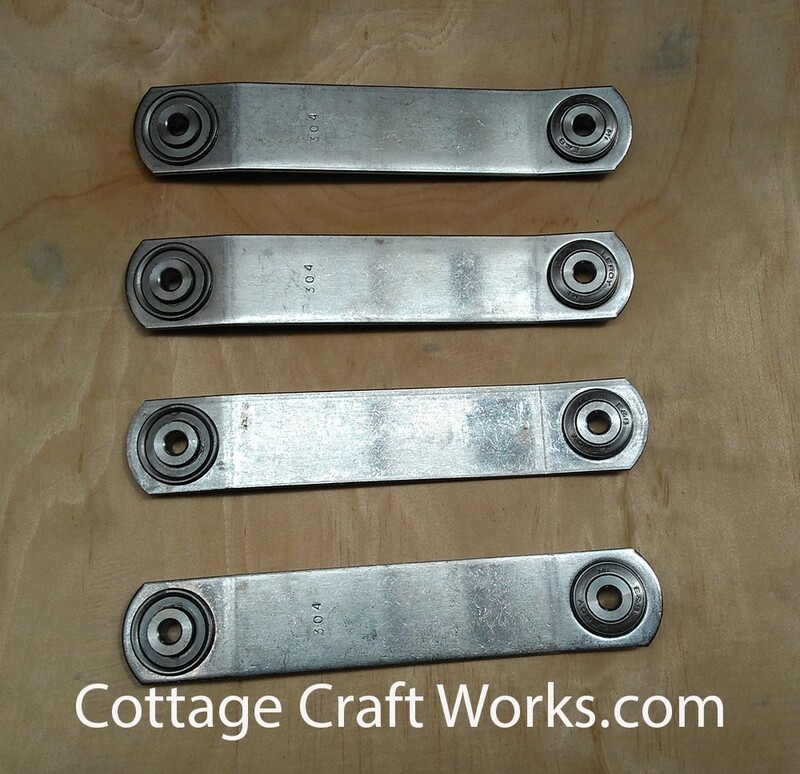 Heavy duty stainless steel glider bearing swing arm hangers. Available in 304 or marine grade 316L stainless. USA Amish made. 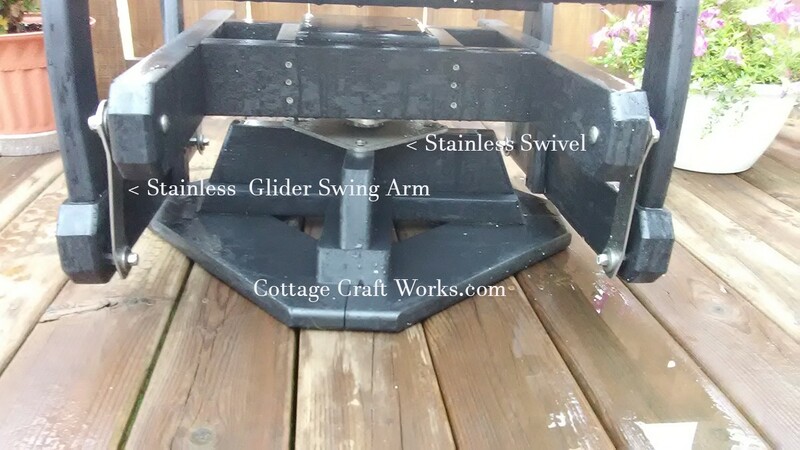 These hangers are widely used by Amish shops to make outdoor swing glider seating. Sold as a set of four. Choose either 6-1/2” or 7-1/2” hole center length and either 5/16” or 3/8” ID bearings. 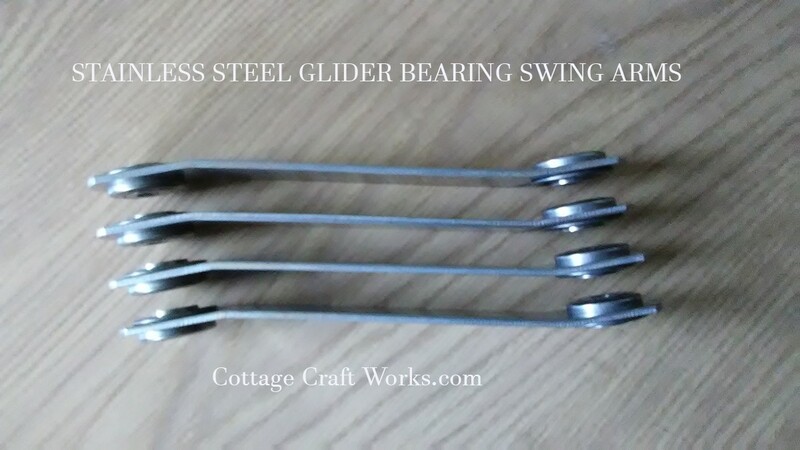 Smooth gliding action using high-quality stainless ball bearings. 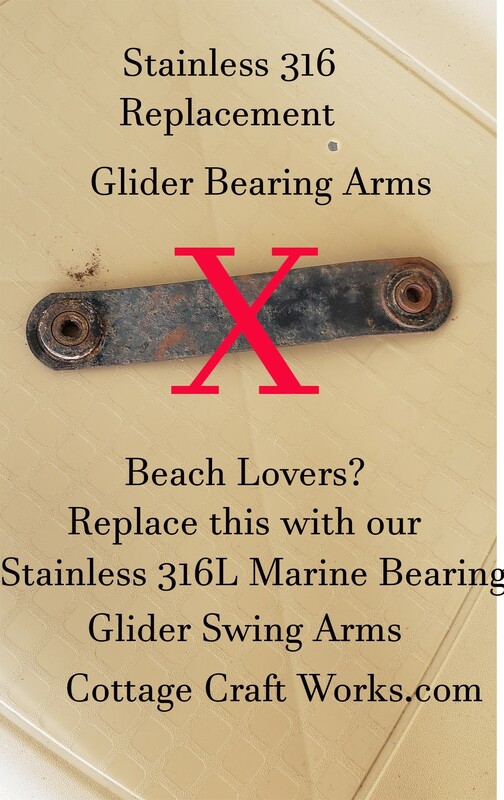 Available in 304 stainless or upgrade to 316L marine grade stainless making these glider brackets ideal for beachside or salt water exposure applications. Thickness is 11 gauge about 1/8" thick, with an offset design for 1-1/2". Priced as a set of four beginning with the 304 stainless. Select size and grade to see incremental price increases. Contact us for high quantity pricing. We also carry these in powder coated finish. Click Here to see other options.